Dr. Daniel Solórzano is a Professor of Social Science and Comparative Education and Associate Dean for Equity and Diversity in the Graduate School of Education and Information Studies at the University of California, Los Angeles. His teaching and research interests include critical race theory in education; racial microaggressions and other forms of everyday racism; and critical race pedagogy. 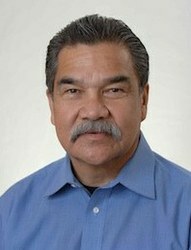 Over his 42-year career, Solorzano has taught at the Los Angeles County Juvenile Hall, in the California Community College (East Los Angeles College; Santa Monica College), the California State University (California State University Northridge; California State University Bakersfield), and the University of California (UCLA) Systems. Dr. Solorzano has authored over 70 research articles and book chapters on issues related to educational access and equity for underrepresented student populations in the United States. In 2007, Professor Solorzano received the UCLA Distinguished Teacher Award. In 2012, Solorzano was given the American Education Research Association (AERA) Social Justice in Education Award. Also in 2012, Solorzano was awarded the Critical Race Studies in Education Association Derrick A. Bell Legacy Award. In 2013, Solorzano was given the Mildred Garcia Exemplary Scholarship Award from the Association for Studies in Higher Education (ASHE). In 2014, Solorzano was selected as a Fellow of the American Education Research Association.